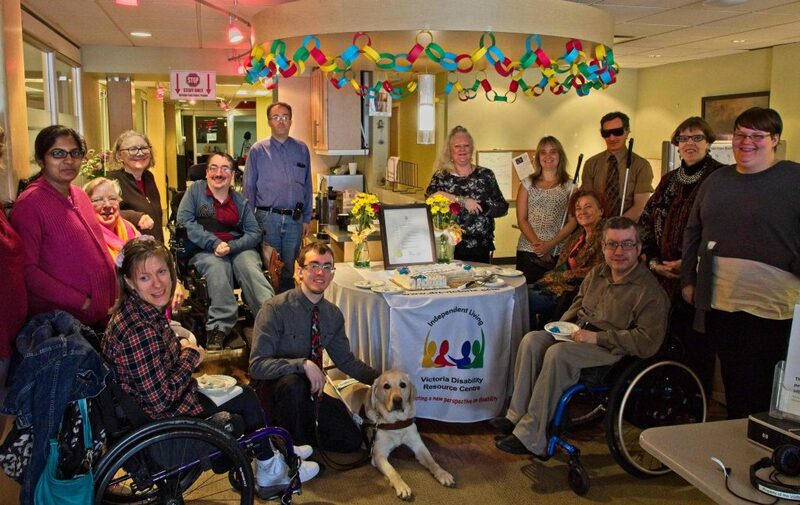 At our June 4 celebration of Independent Living Across Canada Day. Mayor Lisa Helps issued an official proclamation in recognition of the day and of the Victoria Disability Resource Centre’s 28 years in the community. Councillor Pamela Madoff joined with us in the celebration and read the proclamation. Thanks to our volunteers, friends and staff who came out for the event. VDRC volunteers, staff and friends gathered on June 4th to celebrate Independent Living Across Canada Day. 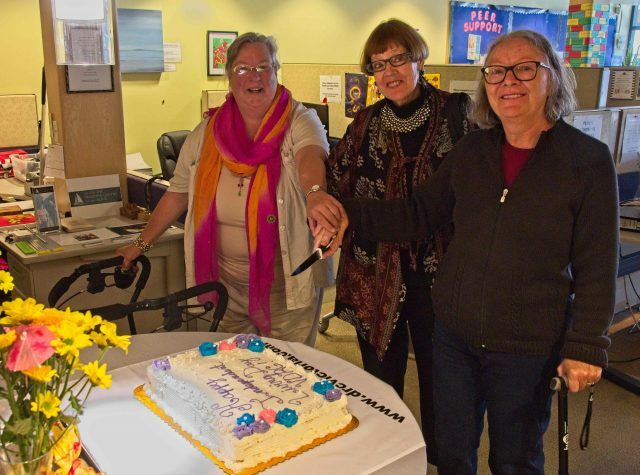 VDRC Director Snow Manning-Jones, City of Victoria Councillor Pamela Madoff, VDRC Director Lynn Mullally, cutting the cake celebrating Independent Living Across Canada Day. 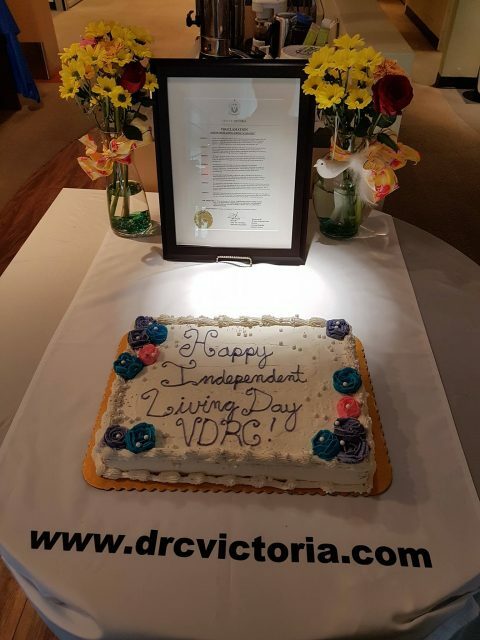 The celebratory cake, with the proclamation from the City of Victoria in honour of Independent Living Across Canada Day in the background.